With my head held high, I’ve always been most proud to be South Australian and enthralled by its uniqueness as a planned and free settlement. This dream of the “dissenters”, often called “The Paradise of Dissent” and “The Utopia of the South”, was certainly not fulfilled as planned but, nonetheless, South Australia has always been right at the forefront of social change. One prime example is being only second in the world, with New Zealand being the first, to grant women the right to vote and the very first in the world to allow women to stand for election to Parliament. It is, therefore, with shame that I realise South Australia has also led the country in the desecration of the Burial Sites of our Pioneers, our Ancestors and our dearly departed. No longer permitted to R.I.P. – if the leases on their graves are not renewed the Cemetery claims ownership, buries strangers on top and, if family do not collect the memorials, they are disposed of in whichever way the authorities choose. Cheltenham isn’t the only cemetery which treats our Ancestors with such contempt. Centennial Park, Dudley Park and Payneham are three others, that I know of, but there may be more. 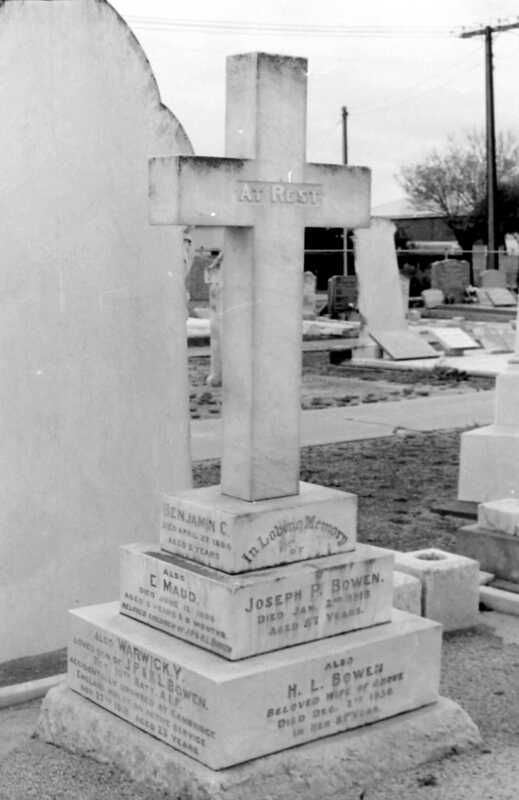 However Cheltenham is the only public cemetery, managed on behalf of all South Australians, who treats our Ancestors in this most disrespectful way. * West Terrace Cemetery, established in 1837, is a State Heritage Place (Register Number 12722). * Cheltenham Cemetery, established in 1876, originally owned and operated by the Port Adelaide Council. * Enfield Memorial Park, established in 1944, and commenced operations in 1947. * Smithfield Memorial Park, established in 1986 by the Northern Adelaide Regional Councils. West Terrace Cemetery has, in the past, re-used graves but since receiving “State Heritage Listing”, because of rare indigenous plants growing within its grounds, the graves are protected. I believe Enfield has also previously re-used graves, but stand to be corrected. In a phone call, a few weeks ago, I was informed that Enfield don’t re-use graves because “we have enough land.” Smithfield is way out in the northern suburbs, in a rather beautiful bushland setting, was only established in 1986 and seems to have huge amounts of excess land. They don’t re-use gravesites and disturb those who’ve been laid to R.I.P in their environs. The destruction of Cheltenham gravesites, and memorials, is the destruction of our history and a profound dishonouring of so very many of South Australia’s earliest Pioneers. 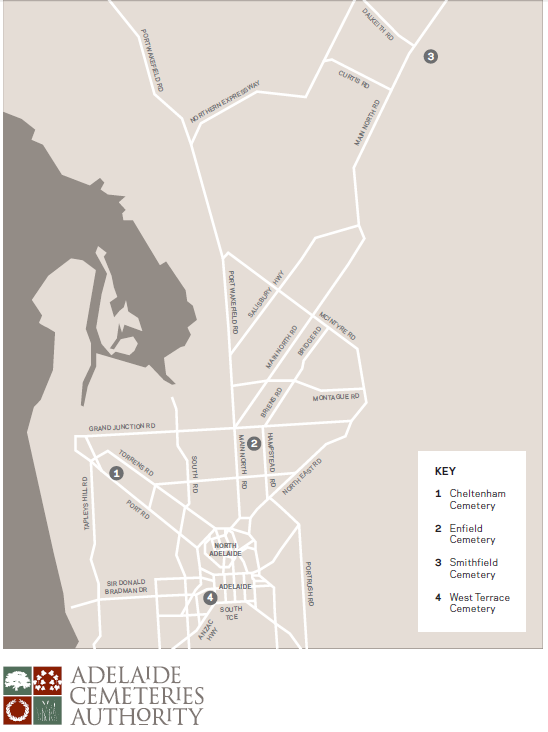 Cheltenham Cemetery is one of the oldest in the Adelaide metropolitan area, having commenced operations as the Port Adelaide and Suburban Cemetery on 27 July 1876 with the burial of Hannah Wheatley Mussared of Le Fevre Peninsula. Initially Cheltenham was the responsibility of the Port Adelaide Council, however, in 1987 this was passed over to the Enfield General Cemetery Trust on the understanding that it would be permitted to run the cemetery according to business principles and that gravesites, in the crowded cemetery, could be reused to provide funding for maintenance and further enhancements. It was a business decision. Enfield General Cemetery Trust’s assumption of responsibility coincided with a series of State Government legislative reforms and Cheltenham became the first cemetery in Australia to redevelop expired burial sites. This was widely criticised by members of the public and the media and I well remember signing a petition, way back then, opposing this practice. So, who is responsible?… It is not the Cemetery management nor the staff. It is our South Australian Law which gives this practice the green light and our South Australian politicians are responsible for allowing it to continue. Many were hopeful the new South Australian “Burial and Cremations Act 2013” would bring an end to this practice but not so. Response to my query from the Attorney General’s Dept. I’ll be writing about this “Significant Places Policy” very soon. 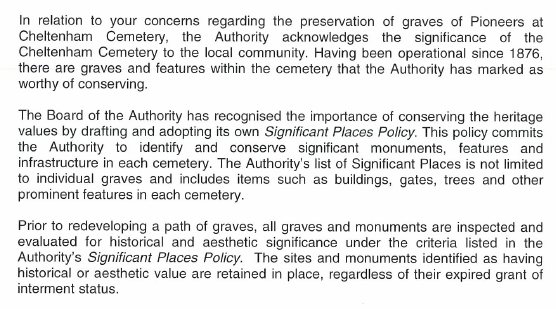 In the meantime you may like to read it for yourself on the “Adelaide Cemeteries Authority Management Plan.” Just click HERE. So this means that the people are left buried but the headstones are removed and people buried on top of the other bodies?????? Do the people who bury their loved ones in the re-used site know that it is a re-used site. Are they told it is a second-hand site? And their loved ones will not RIP forever either. How does this fit with Aboriginal ideas of burial? Truly gobsmacked. Sadly that is absolutely correct 😥 I was horrified to discover this after finally locating my Great Grandmother’s grave at Cheltenham. I doubt if people are being told that their loved one is being “laid to rest” on the bones on the previous occupant and is why I opposed changes to the Legislation re: the former occupant’s “remains” being placed in an Ossuary because this seems to be a way of covering up the fact that it’s a re-cycled gravesite. My submission also recommended that family should be advised that the grave was a re-cycled burial site. None of these were accepted and passed into law. ” Such is Life” as poor old Ned said before they strung him up. We can but try, is how I see it. Thanks for the caring Gallivanta… much appreciated. 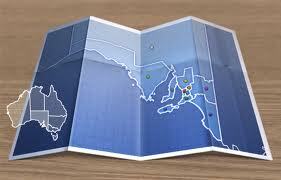 Indeed it is Jill and sadly some other Australian states are using SA as an example to follow. About six months ago Victorian pollies tried it on but there was an uproar and their Premier, Napthine, scotched it… phew!!! As my Father was buried in the mid 70’s and then my Mother in the 90’s were buried in the Lawn (Plaqued) area of Dudley Park, I would be interested to know if the area they are are in will be affected by these redevelopments, as I live in N.S.W. 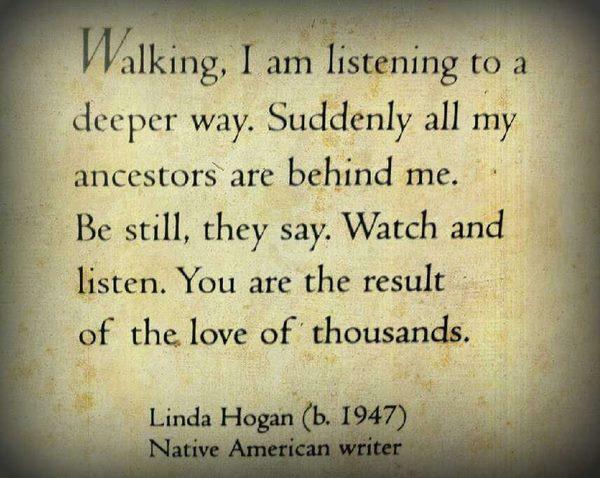 I have had problems trying to get through to The Cemetery Trust, I do not believe any part of any burial ground should be desecrated, especially for profiteering by these burial related so called Body Corporates, i think the exercise is thoroughly shameful. PS. 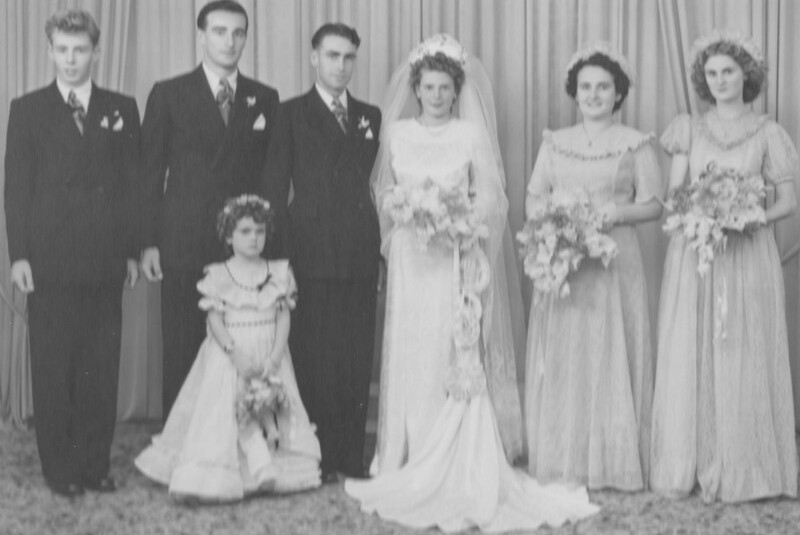 They are buried together and are James and Anne Pine.